In January 1945, after seven years in the Far East, I had, with great regret, to return to England. I travelled up to Bombay by train, a journey which took several days, and on the way I caught malaria which I had, until then, avoided. 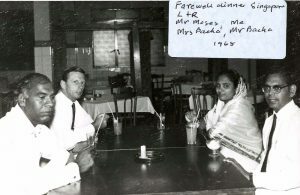 I spent several days sweating it out in a hut at the transit camp at Doolally and then went to see the doctor who gave me the choice of either going into hospital or getting on the boat, when he would give me enough Mepacrine and Pamaquine to last the voyage. I chose the latter course, and on reaching the depot in England the medical officer didn’t know whether to put me in the hospital or let me go home and see what mother’s cooking could do! He chose the latter and when Mum opened the door to my ring, she saw a bright yellow skeleton standing there (the yellow was from the drugs). Luckily I recovered from the malaria -malignant tertiary – and have never had a relapse. After disembarkation leave, I was posted to Horsham and then, a few weeks later I was posted to the just-freed Paris. I spent six months in Paris working on the Medlock route, which enabled troops to disembark in the South of France and travel by train to Dieppe and thus avoid the submarines operating in the Atlantic. I hated Paris which was so dilapidated and filthy after the war and I formed no friendships and became very depressed and I put in an application to be sent back to the Far East. I had Burma in mind, but the War Office had other ideas and sent me to Bermuda instead. I travelled out First Class on a passenger liner and went on a tourist route via Jamaica and the Bahamas. Bermuda consists of about 100 sub-tropical islands, 20 inhabited, and these 20 are connected by bridges. The whole is surrounded by coral reefs. This was a typical example of American sharp practice as these destroyers were old and decrepit and not one was ever capable of being used; one, in fact, turned over in harbour and another was towed out and sunk in a French harbour to block it. The small garrison thus had little to do and I worked from 8am to 12 noon five days a week, spending most afternoons sailing and swimming with snorkel and fins. I made many friends there, one in particular, and enjoyed every minute of my four years there. It should have been three, but I cheated and stretched it out. 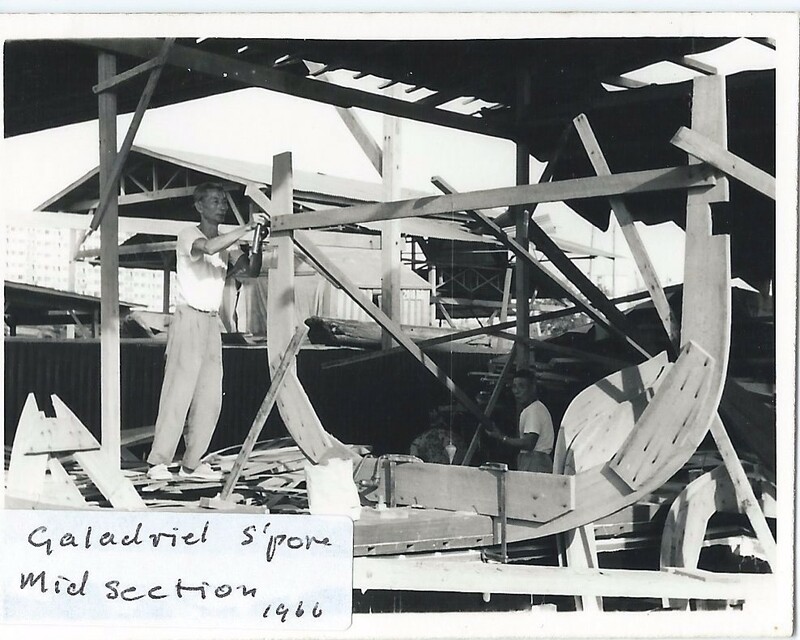 I returned from Bermuda in 1950 and was immediately posted to Egypt, to Ismailia on the Suez Canal. 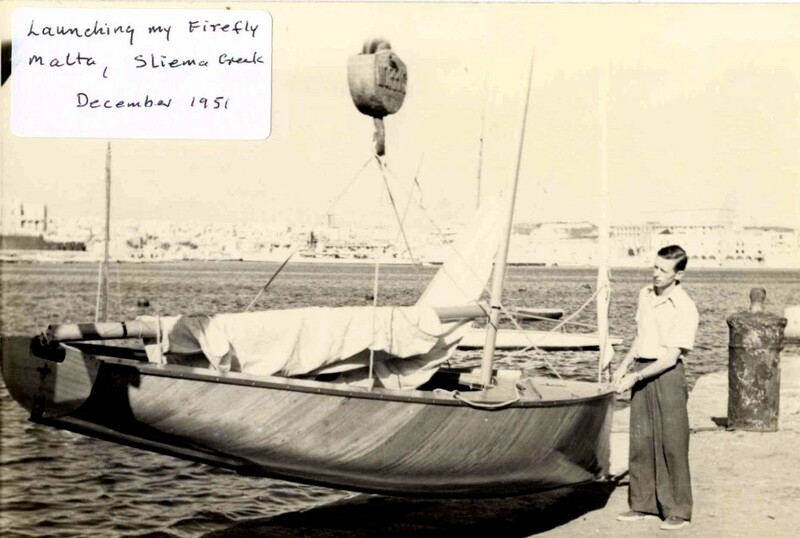 This was not very pleasant and so I was lucky to be transferred to Malta after only six months. There was little transport going there, but I managed to scrounge a passage on a tank landing ship which crawled along the North African coast calling in at all the small ports up to Tripoli. 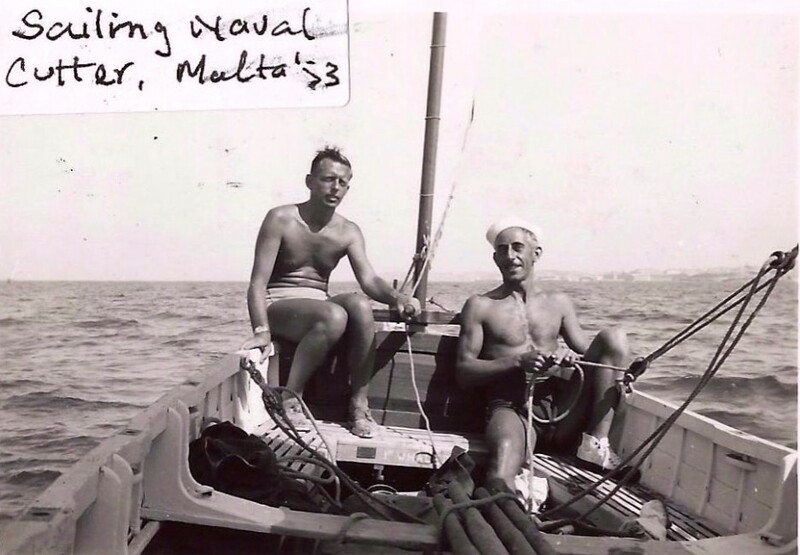 My spare time in Malta was spent sailing and I represented Malta in yacht races against the Italians in Sicily. After Malta, I went to Germany but was lonely and unhappy there so I asked to go back to the Far East and was lucky and got a posting to Singapore in 1955. I worked in the Chief Engineer’s department there and again spent my spare time sailing and swimming. The sailing there was very good as there were a great many coral islands, mostly uninhabited, to be visited. I made many friends there, again one in particular. I seem to be able to make friends overseas but not in England or Europe. In 1958, I returned to England and went to Western Command in Chester and since I had only two more years to serve that was my last posting before completing 24 years service. The Engineer Works Service were now being disbanded and being taken over by the Civil Service which had been trying to do this for years and, by this time, there were more civilians working in it than military. I was now due to be commissioned as an officer but, since there was no longer a Works Service this would have meant returning to Regimental duties, which I disliked, I left the Army. I passed an examination as an Executive Officer in the Civil Service and went to work with the Army Education Corps at Stanmore in Middlesex. 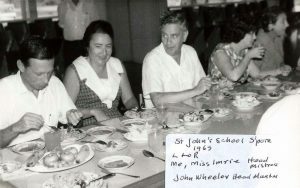 I worked there for four years but I didn’t like life in England, finding it cold and unfriendly and then I was lucky enough to get sent to Singapore as bursar to open a new secondary school which had just been built. The school buildings were magnificent being designed by a top architect; the British have a knack of putting up their best buildings in countries just before handing them over when that country achieves independence. I found that the work of opening this school quite demanding but, for the first time in my life, worthwhile and fulfilling and that I was doing something of value. Most of the teachers and older pupils were very good to work and associate with. The first Headmaster, John Wheeler, a parson man, was very good, but, after only two years, he caught cerebral malaria and was dead in two days. His replacement was Peter Gaskell, another excellent man with whom I liked working. 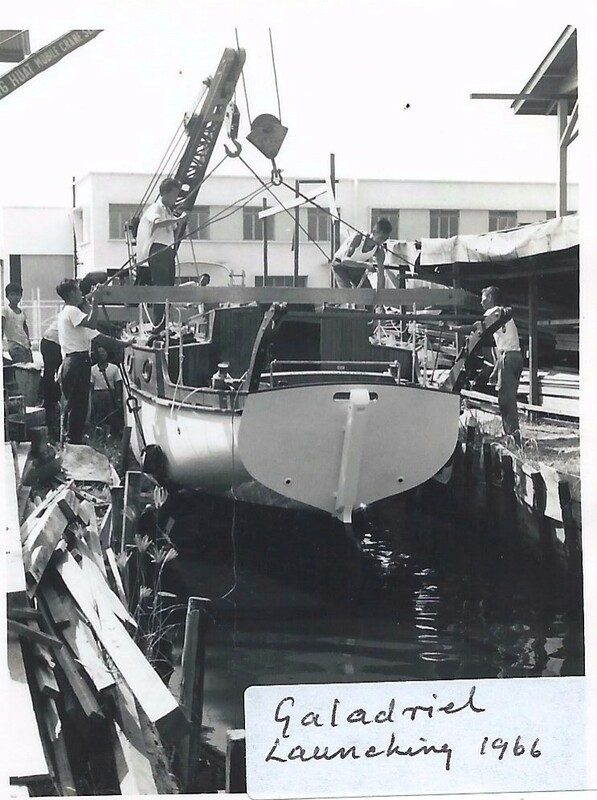 I was able to do a lot of sailing with the RAF Yacht Club at Changi and I had a yacht built by the firm of Merton Brown. 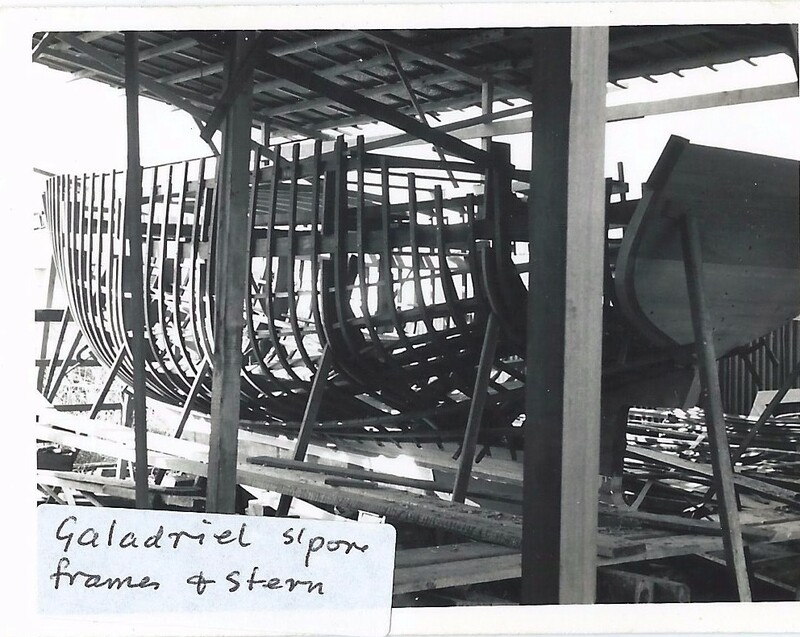 It was built of teak and was 28 feet long and designed by Maurice Griffiths to his Lone Gull II type. I named her Galadriel, after the Elf Queen in Lord of the Rings. I returned from Singapore on the luxury cruise liner the SS Cathay and brought Galadriel home as deck cargo. I went out to Singapore on a Blue Funnel cargo ship with only a few passengers and much preferred that method of travelling. Because the Suez Canal was closed we had to go round the Cape of Good Hope, calling at Durban and Cape Town and at Dakar in Senegal. 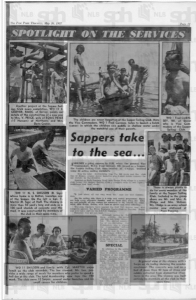 Sappers take to the sea. 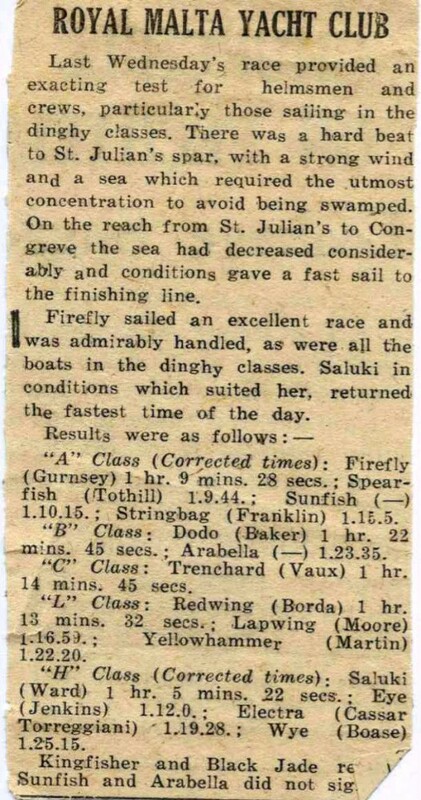 Already a going concern in 1938, when the present Vice Commodore, W.O.I. 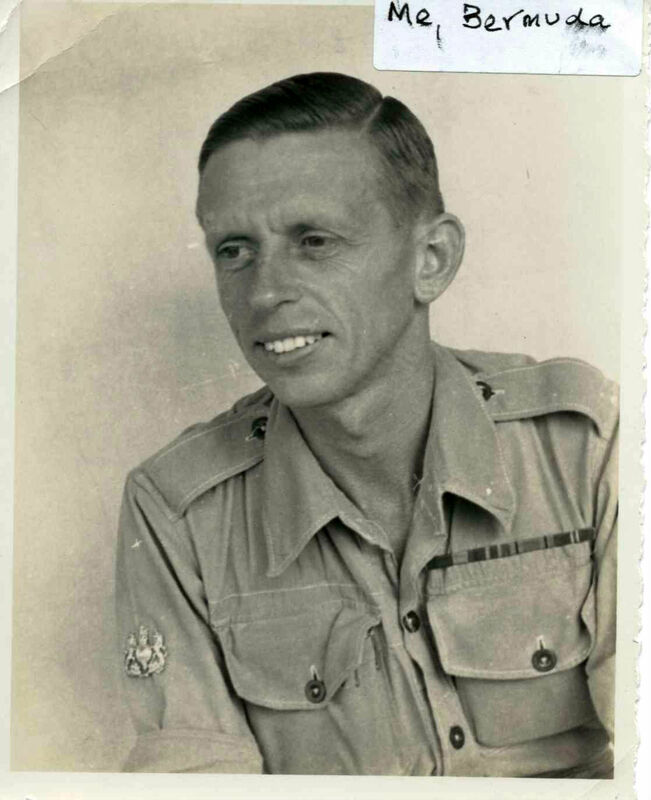 Fred Gurnsey, RE, joined as a Sapper, the Sapper Sailing Club, then located at Changi, boasted some 30 active sailing members. Now the total membership tops the 190 mark and the club has 12 Snipes, several motor launches plus 6 small koleks (canoes) for use inshore by the children. Located on Pasir Panjang Road near Buona Vista village in a roomy club house, the Sapper Sailing Club is complete with its own slipway, workshops and boat sheds. On the sailing side there is a wide and varied programme. Races are held every alternate Sunday and on those days when the tides are not suitable, all day cruises are arranged to the islands for swimming, skin diving, fishing with lines or spears and coral collecting. The club regularly races against the RAF Y.C. Seltar, now also competes against the Royal Engineer Yacht Club at Tanjong Pagar and also takes part in the RSYC regattas. Entrance fees are not high. 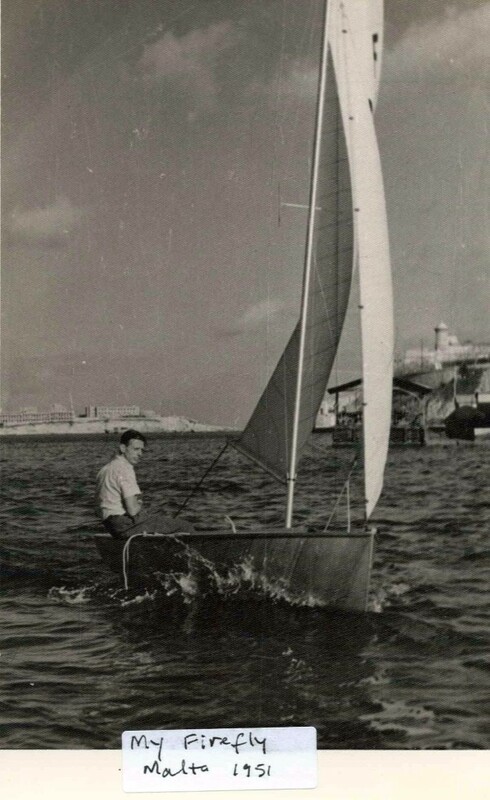 Although sailing is the main activity, the social side has not been forgotten. The elected committee of six – including the Commodore who is always the Commanding Officer of the Singapore Engineer Regiment, now Lt Col K L Nicholson, OBE, RE, is an ex-officio member – sponsors a weekly whist drive and a dance or ball about every two months. 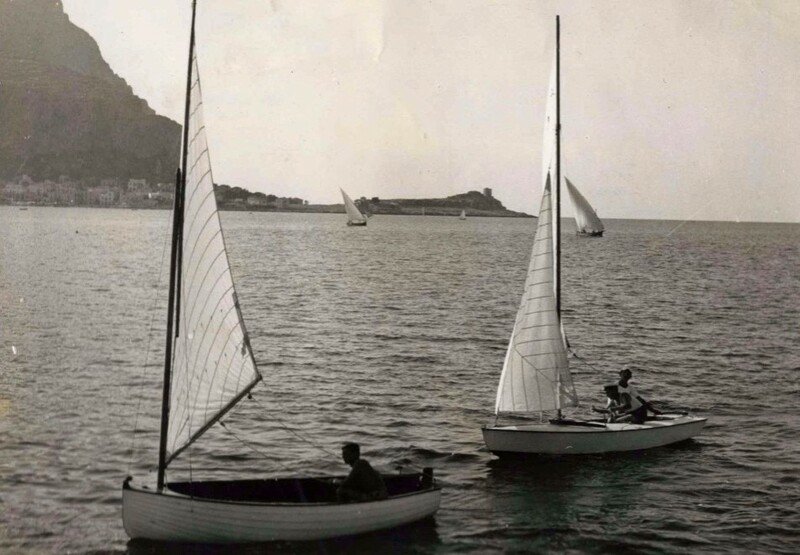 In addition to the active sailing members, more than 50 children, sons and daughters of the members, use the premises and the koleks specially kept for their benefit. Like most clubs there is always work to be done and in the Sapper Sailing Club there are the men to do it. A current project is the completion of a 25 foot pier running out from the present verandah. “When it is complete we will have more space for all our activities,” says Mr Gurnsey. Having managed to extend my three-year tour to four years, I came home in 1968 and was sent to work in central London near New Scotland Yard. I did not like London at all and made no friends there and found it a very lonely place and I disliked the filth and squalor after the cleanliness of Singapore. I spent every weekend on my boat at Sandwich. After four years of depressing loneliness, I decided that I had had enough and retired prematurely on the 31st March 1973, being 56 years old. Financially this was a bad move because it meant a greatly reduced pension but my sanity was more important than money. 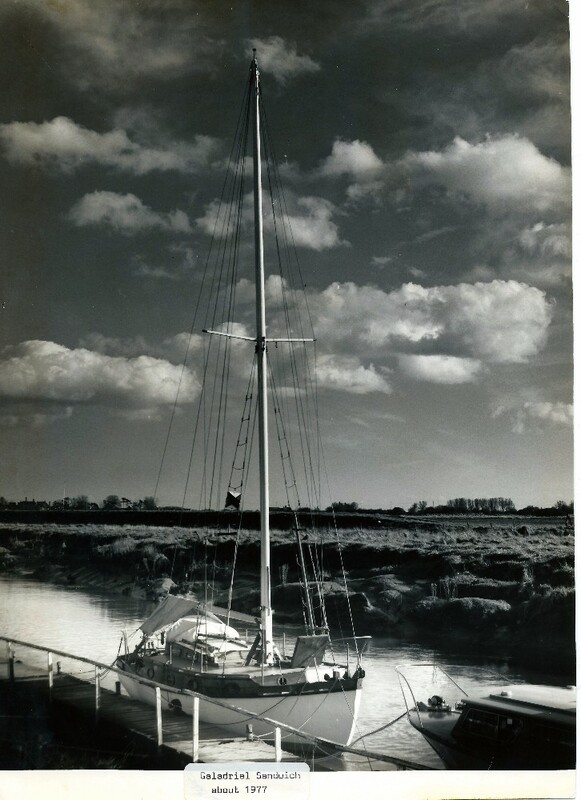 ‘Galadriel’ moored at Sandwich, Kent. Whilst living on my boat Galadriel in Sandwich the Reverend Terry Fuller, wife and four boys brought their motor cruiser round from the Thames and moored it next to mine. He was the vicar of Southgate, Crawley and he visited his boat whenever he could. His eldest son Paul was about 13 years old and he started crewing for me and we sailed together over to France and up to the River Schelde the first year and in subsequent years down the French coast to Normandy. This was during my months Summer holidays while working in London. 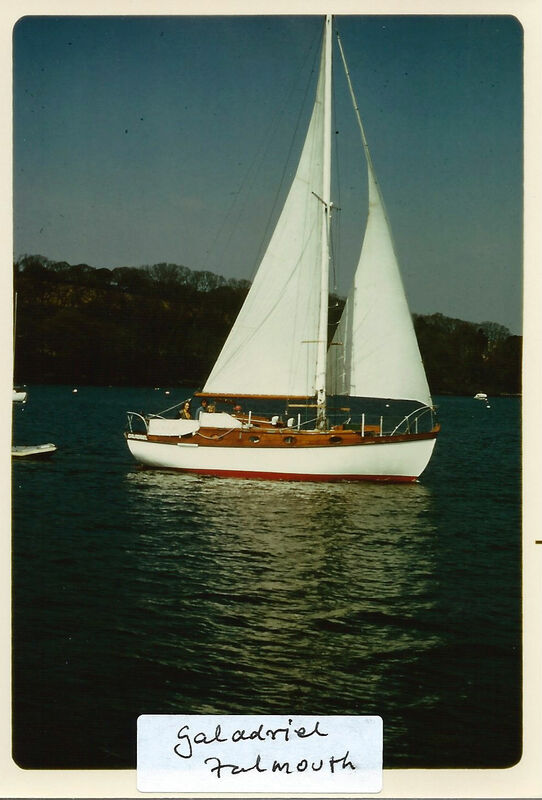 In the summer of 1973 we sailed down the Normandy coast as far as Cherbourg and then crossed the Channel to Falmouth where I spent the winter on the Mylor Creek. 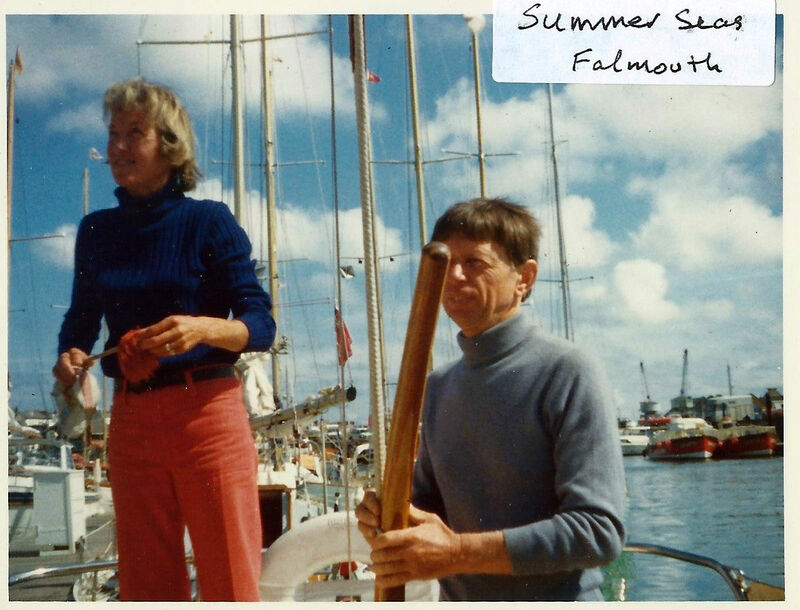 In 1974 Paul, then aged 16, sailed with me down to Gibraltar and then Paul flew home and he went into the Merchant Navy and I think that the sailing experience I had given him stood him in good stead. I was now on my own and in November I left Gibraltar and sailed down to Lanzarote in the Canary Islands and then over to Las Palmas also in the Canaries. I stocked up with food and water there and sailed across the Atlantic to The Barbados, a voyage of 2,800 miles which took me 28 days. Trade wind sailing is very pleasant and I only saw one vessel and then I only saw its lights at night. From the Barbados, I sailed up through the Lesser Antilles (the Windward and Leeward Islands) to Antigua where I spent Christmas. 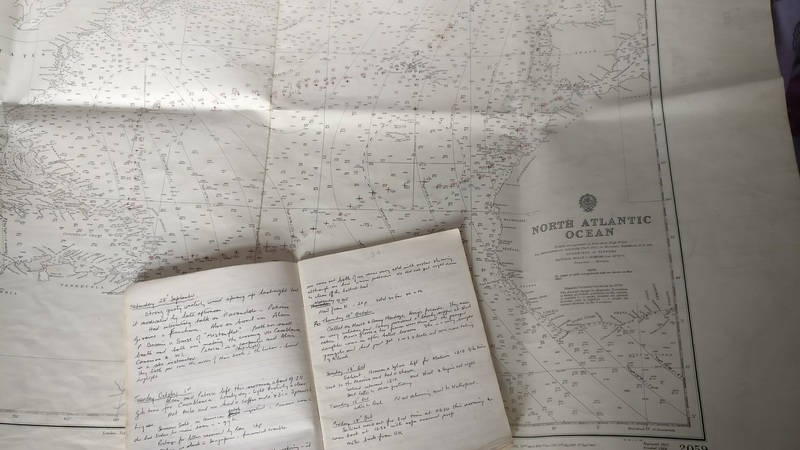 Next year, 1975, I went north to Bermuda right through the centre of what is known as ‘The Bermuda Triangle’, an area supposed to be plagued by supernatural happenings but I found it to be just the same as any other piece of sea, except that it was calmer with lots of Sargasso weed and great rafts of storm petrels resting. At Bermuda, I looked up some old friends and found the islands much spoilt by the tourist trade. The beautiful coral sand beaches were covered in beach umbrellas and were backed by skyscraper hotels. There were dual carriageways where in my day the roads were narrow tracks winding between hedges of match-me-if-can, hibiscus, bougainvillaea and other beautiful bushes and people travelled either on foot, on bicycles, horseback or horse-drawn gharry. Leaving Bermuda I crossed a stormy Atlantic Ocean to Horta in the Azores and then back to Mylor Creek on the River Fal. After a few weeks there I sailed up the Channel back to Sandwich. 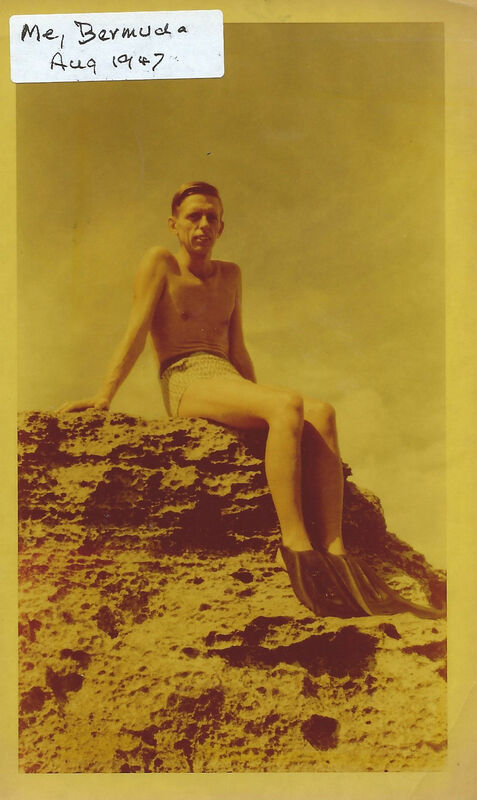 In June 1978, I set off once more intending to go to the USA but I injured my back off Portland Bill and put into Portland Harbour where I rested up until my back was better. 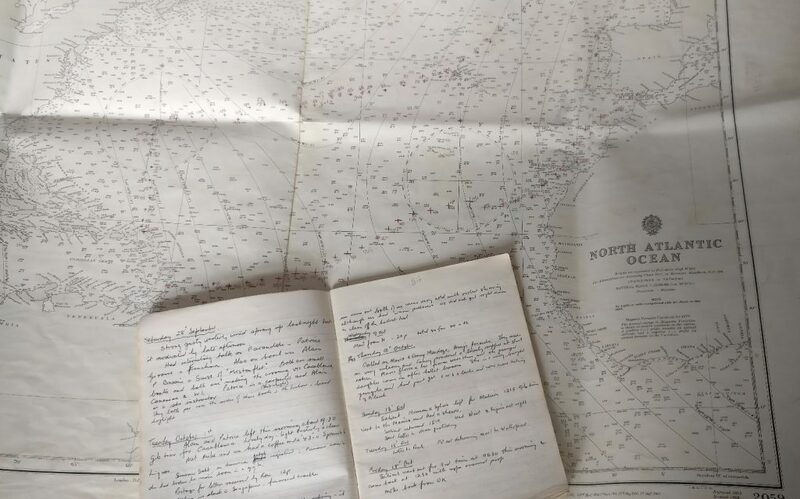 It was becoming clear that single handed sailing at my age was foolhardy and solitary sailing is all right well away from land but near land it is very nerve-racking and often means going days without sleep. I sailed down to Mylor Harbour, sold my boat, Galadriel, bought a bungalow [at Whitfield], and ‘swallowed the anchor’. 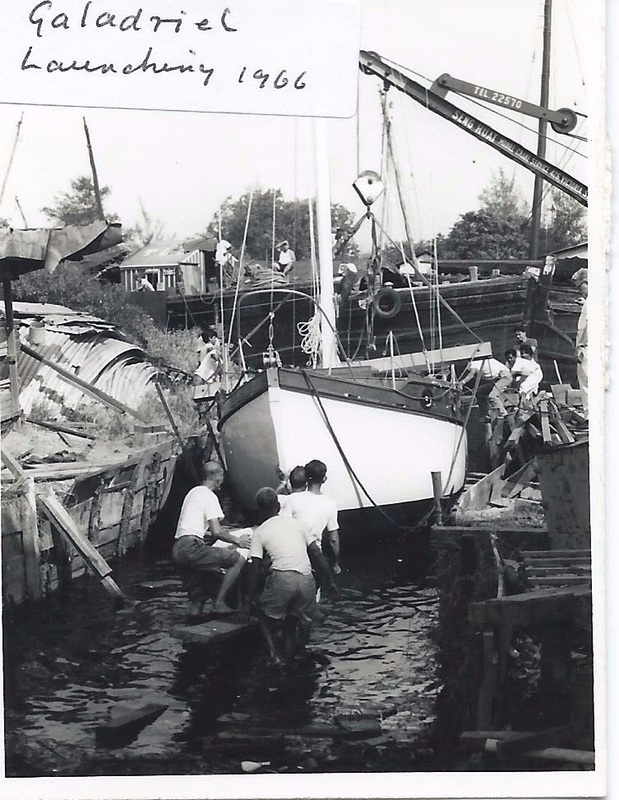 Leaving a boat which has been your home and has looked after you in tight spots is a great wrench. 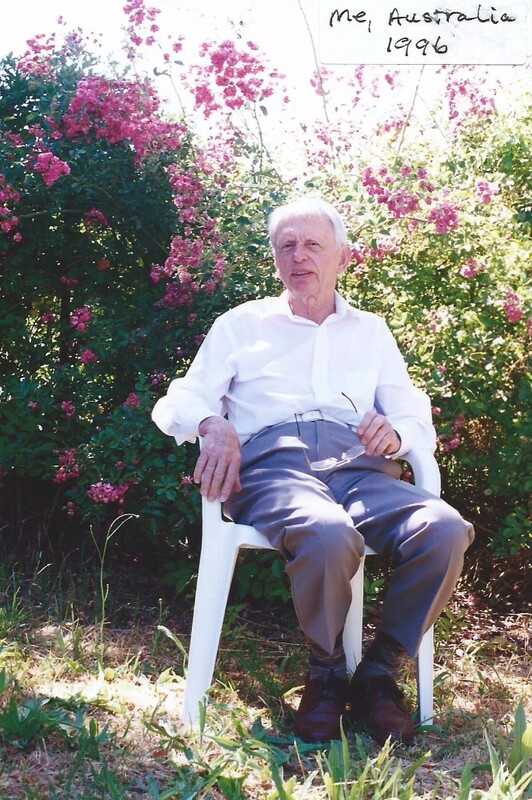 Thinking that my travelling days were over I settled down to a lonely old age and so I was very touched and moved when, in 1996, my niece Irene and her husband George invited me to join them on their visit to their daughter, Susan, in Australia. 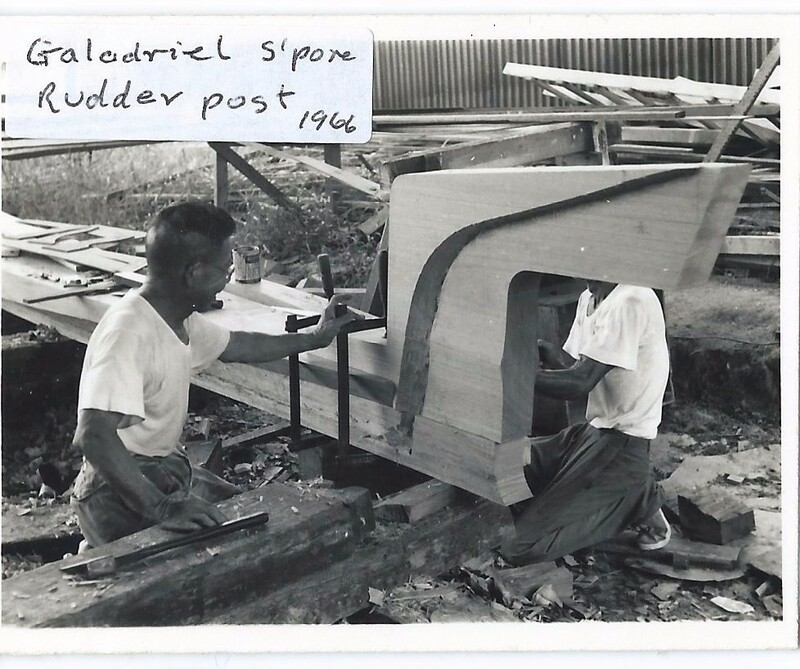 We flew out to Singapore where I was completely lost as there has been so much building in the 30 years since I had lived there and where there had been mangrove swamps there were huge industrial estates and hills had been removed and dumped into the sea to make multi-lane highways. There was a new railway system called Mass Rapid Transport (MRT) and it was exactly that, super efficient, and the whole Island was spotlessly clean with litter wardens to enforce cleanliness. That is one side of the story. Singapore is now the most efficient police state in South East Asia with censorship of books, magazines and newspapers and opposition politicians in jail. Pro-rata as regards population Singapore still executes, by hanging, more people than any other country. The people don’t seem to notice this and seem quite happy with this state of affairs. It is like a white ant (termite) colony with the queen ant who, since independence, has been Lee Kuan Yu, controlling it. I re-visited the Kranji War Memorial and the Changi Memorial Church and the museum in Changi jail where so many British prisoners of war had suffered and died. I also had a brief visit to my old school, but the time was inconvenient to see much. We then flew down to Cairns in Queensland where we toured the rain forest, had a trip on the Cairns-Kuranda Railway built in 1882-1891, an incredible feat considering that there was no earth moving equipment, and we snorkelled off the Great Barrier Reef. From there we flew down to Sydney where we were met by Susan and taken to her home, where we met James her husband and Liam, their 2 ½-year-old son. They had arranged some marvellous tours for us – down to the Jervis Bay National Park, to the Snowy Mountains, the Tumut Valley and then to Canberra where I was most impressed with Parliament House which was far superior to our fake Gothic Victorian monstrosity. At Canberra, we visited the Dinosaur Museum and were shown around by Liam who was into dinosaurs. Back to James and Susan’s home which is about 30 miles outside Sydney and then we went up into the Blue Mountains and walked through the Grand Canyon and one of the highlights was a visit to Yarrangobilly Caves which consist of miles of limestone caves with stalactites and stalagmites lit up with hidden electric lighting to great effect. We also took in a show at Sydney Opera House. I had not realised that Australia, at least the East Coast, was so beautiful with mountains and forest and wide open spaces where one can breathe. On the way home we stopped for two days in Bangkok where I visited the Death Railway where, it is said, a life was lost for every sleeper laid, and also visited the Bridge on the River Kwai (not the original, which is now down) and the huge War Cemetery and Museum and saw the graves of several men that I had known. We then flew home to a bitterly cold and snowy England.